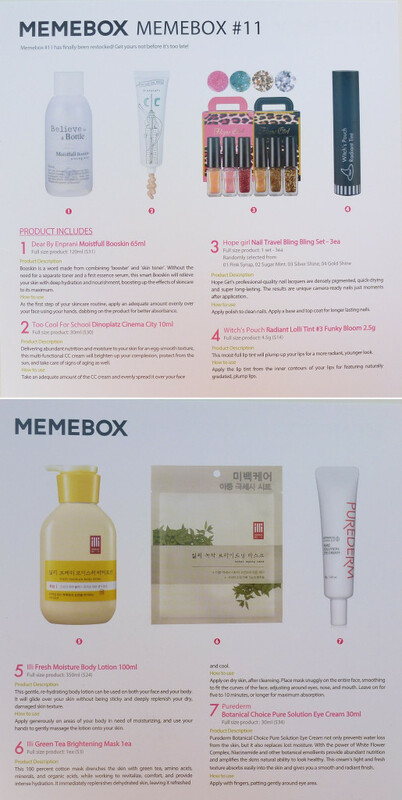 Here is the product card with the English description for each of the products. I like the constellation of product types this time. If you combine Booster and Skin toner you come out with the word “Booskin”. It’s a moisturizing first step for the skincare routine. I heard some about Eprani products and I was eager to try a product. At the moment I’m testing another toner, so didn’t open this one yet. Yeeiih, I love the super cute packaging of the TCFS Dinoplatz line. This is a CC cream from this line…I love the packaging so much and I’m overly happy to be able to try this. Review will be up in a couple of days. A nail polish set in a cute packaging. I received the Gold Shine Kit, but there were other kits available , too. I’m happy with the golden polish, because I don’t have any golden polishes yet. I didn’t try it yet. Again, a super cute packaging. 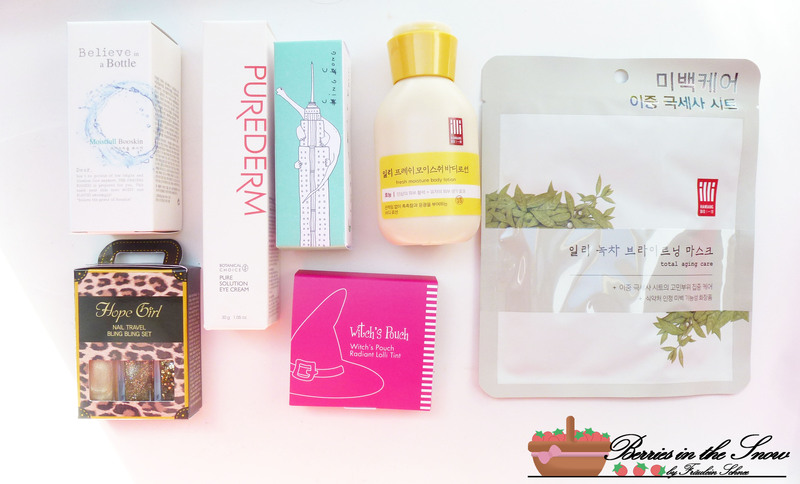 I love the travel size, because it is so tiny and fits into any pouch! The color is nice, too, it is a nice pinish color, making your lips look more healthy and youthful. I will review this, too. I would never spend so much money on a body lotion. But I love using body lotions and that’s something you can never have enough from. The scent is fresh and citrus-y and it feels nice on the skin. A review is planned for this one. It can be also used on the face, which is nice. Last box contained an eye serum, this time we have an eye cream. It seems to be a good cream according to the price. I didn’t open it, since I just started a new eye cream but I’m always happy with eye creams.This one contains Niacinamide, so I guess it will give you a more radiant look. The value of the box is amazing, too, considering the fact that you pay 23 US$ normally, plus shipping (6.99 US$ for standard shipping). 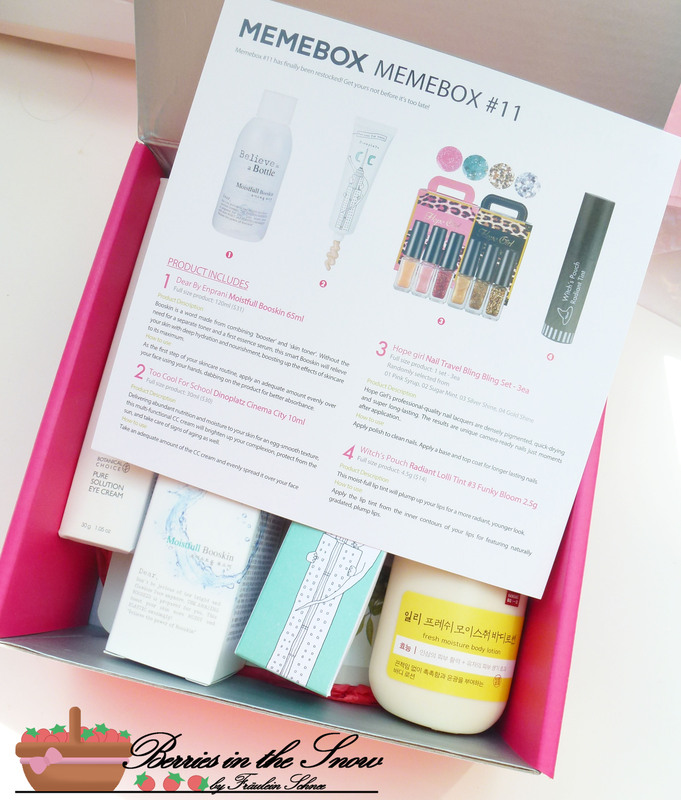 But I think I never paid the full price for any of the MeMeBoxes I ordered up to now. They always have so many ways to save money, by coupons and other promotions. 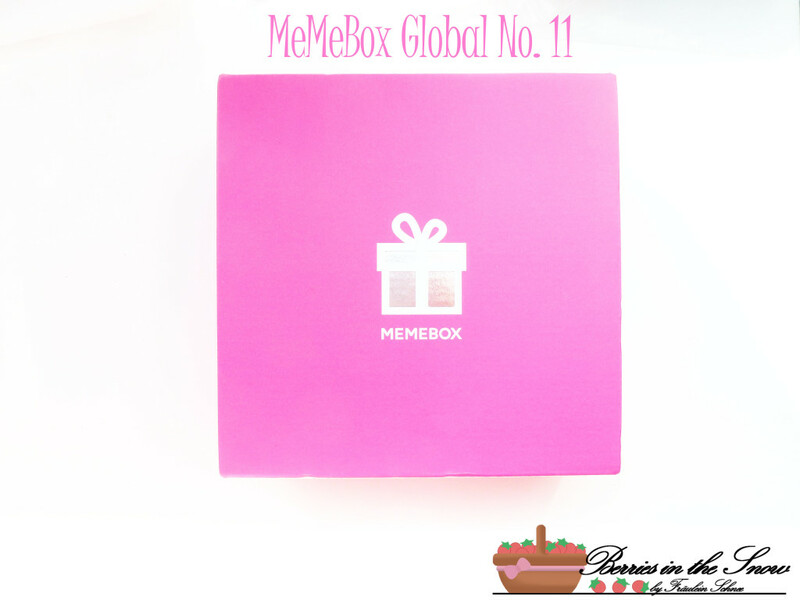 I can definitively recommend you to check out MeMeBox online store. Every time I come here recently, the blog looks even more professional! Evelyn last post…Konjac, la raiz de la belleza asiática. You had me at Too Cool for School and those pretty nail trio! I’m also a sucker for them or anything nail polish to be honest haha. I’m patiently waiting for my Memebox Orange hahah .